This entry was posted in EquityUnbound, Technology Resources, Twitter. Bookmark the permalink. All of this is super helpful. 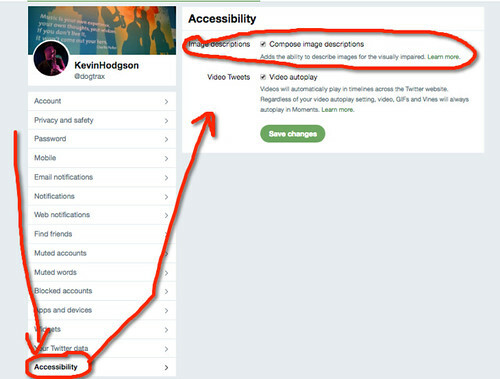 I noticed that there is a suite of Chrome extensions to help operationalize the web accessibility tutorials. Lots to think about and new skills to develop. Am at least going to commit to providing alternative text for images — it’s a first step. Thanks so much! Thanks for the reminder about add-ons. I’m trying to work out how this works for mobile device users. 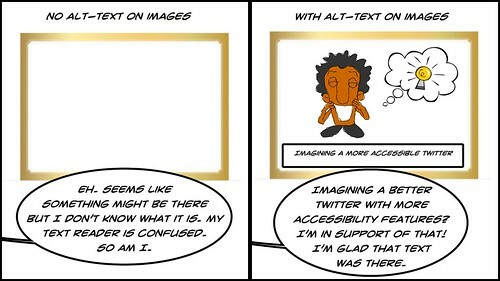 I think you are supposed to be able to tap on the image to get the alt text but haven’t been able to get that to work.